Michelin North America is now the official tire of the International Motor Sports Association, which celebrates its 50th anniversary in 2019. Scott Clark, chairman and president of Michelin North America, described the magnitude of the partnership for Michelin North America on Monday at the North American International Auto Show. 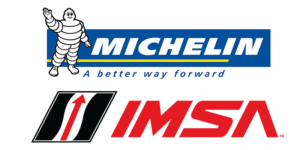 For the 2019 season, Michelin will support 19 automotive brands competing in different classes of the IMSA WeatherTech SportsCar Championship – compared with five brands last season. Michelin also will be title sponsor of the Michelin Endurance Cup and IMSA Michelin Pilot Challenge. Steve Carlisle, senior vice president for General Motors and president of Cadillac, joined Michelin in recognizing what motorsports means to business. Another critical component of endurance racing is a tire’s ability to consistently perform over time on the track or on the street. According to recent third-party testing, Michelin’s Premier A/S tire performs better in a worn state than 20 competitors’ brand-new tires, Michelin says.